Soledad Matteozzi (Partner) born in La Plata, Buenos Aires, Argentina, November 16, 1974, admitted to the bar in Argentina, 1998, admitted to the bar in New York State, 2001. Mrs. Matteozzi is in charge of the China Desk of the Law Firm based in Beijing. She specializes in Foreign Investments, Business Law, Trade Finance; Cross-border financial transactions, Compliance; Corporate Governance and Data Protection. She is a member of the firm since 2002, and was until 2012 in charge of the firm’s New York Representative office. She is a seasoned lawyer with more than fifteen years of experience in international transactions. From the New York office she represented banks, other financial institutions, pharmaceutical companies, multilateral organizations, multinational companies, private equity and hedge funds in their operations in Argentina and Latin America, in the areas of her expertise. Ms. Matteozzi obtained her LLB at the School of Law of the Universidad de Belgrano in Argentina (1998). She holds a Master in Corporate and Finance Law (LL.M) from Fordham University, New York (2001) and later was admitted to practice law in the State of New York (2001). She was also certified as Compliance Officer Professional (CCEP), a degree governed by this Society of Corporate Compliance and Ethics in the US. 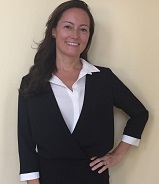 She has collaborated in well-known international legal publications such as World Securities Law Report, New York State Bar Association Newsletter, Latin Counsel, Latin Lawyer, Mondaq, IFLR, among others. She has also lectured on her areas of expertise at Bar Association meetings, and other legal and compliance conferences in New York and abroad. She is native in Spanish, and speaks fluent English.